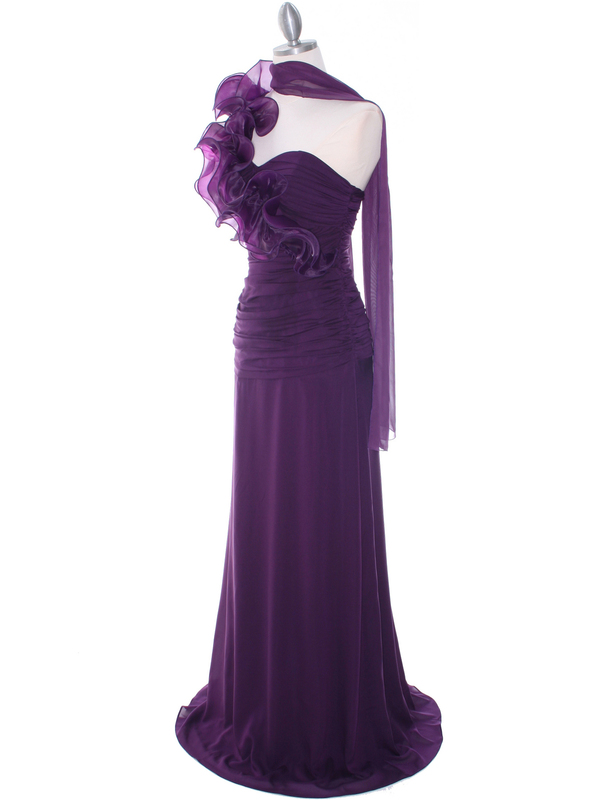 Eggplant Evening Dress | Sung Boutique L.A. 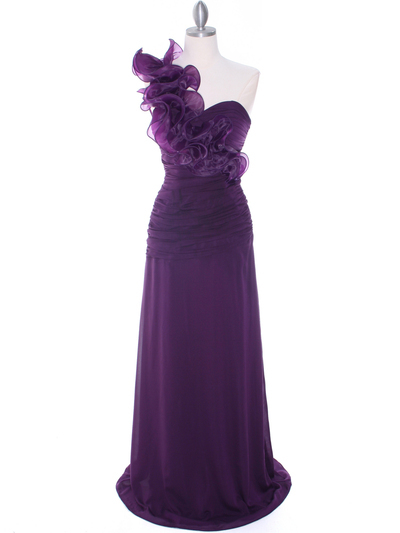 This elegant one shoulder evening dress features organza ruffle details the shoulder and the sweetheart bodice. 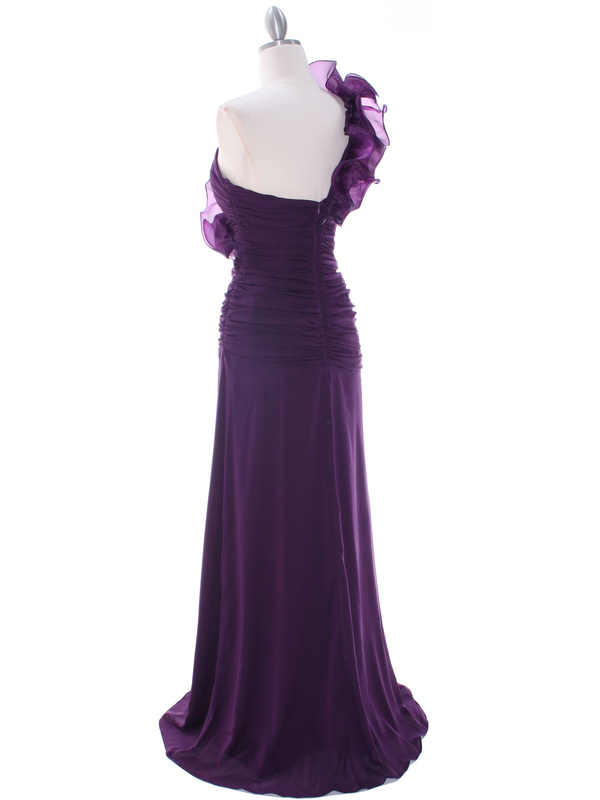 Ruched chiffon skirt finished the look.